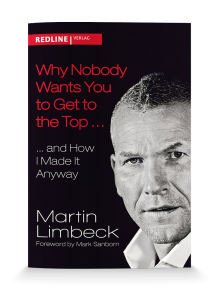 Martin Limbeck would not be who he is if he quit after getting to the top. As a brilliant keynote speaker on motivation and sales, he has garnered a worldwide reputation as a sincere and rousing speaker. motivating, because he practices what he preaches. His presentations go well beyond his sales topics. His personal career, his development as a person and sales professional over and above all challenges and obstacles that have come his way, his unique journey out of coal country to the heights of self-improvement are all reflected in his stage performance as a keynote speaker. For a selection of his presentation topics click here.